China-based electronics company Oppo Electronics Corp. has signed a strategic licensing agreement with Corephotonics Ltd., a Tel Aviv-based startup developing next-generation smartphone cameras, the companies announced last week. As part of the deal, Oppo agreed to collaborate with Corephotonics on the development of future smartphone camera technologies. The companies did not disclose the financial terms of the deal nor the timeline for the collaboration. Founded in 2012 by David Mendelovic, an expert on optics and miniature digital cameras and former Chief Scientist of the Israeli Ministry of Science, Corephotonics develops dual-camera technologies for mobile devices. The company is backed by investors including Samsung Ventures, electronics manufacturer Foxconn, and chipmaker MediaTek Inc. 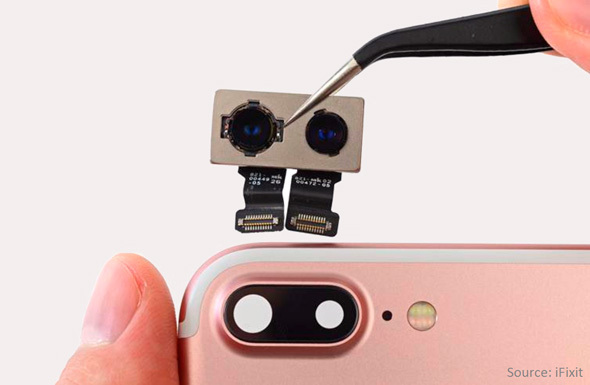 In November 2017, Corephotonics filed a patent infringement suit against Apple Inc, alleging that Apple adapted its patented dual aperture camera technology for mobile devices into the iPhone 7 Plus and iPhone 8 Plus without Corephotonics’ authorization. Founded in 2001 and headquartered in Guangdong, China, Oppo develops and manufactures consumer electronics and mobile devices. In December 2017, Oppo backed Israel-based startup Bugatone Ltd., which develops software that turns simple earphones into a sonar device by enabling the earphones to send imperceptible sound waves into the cavity of the ear and interpreting the return signals. “Oppo has the most impressive record of innovation in the field of smartphone imaging,” Mr. Mendlovic, who serves as CEO of Corephotonics, said in a statement, adding that Corephotonics will be “working closely” with Oppo on the smartphone manufacturer’s next-generation camera technologies.